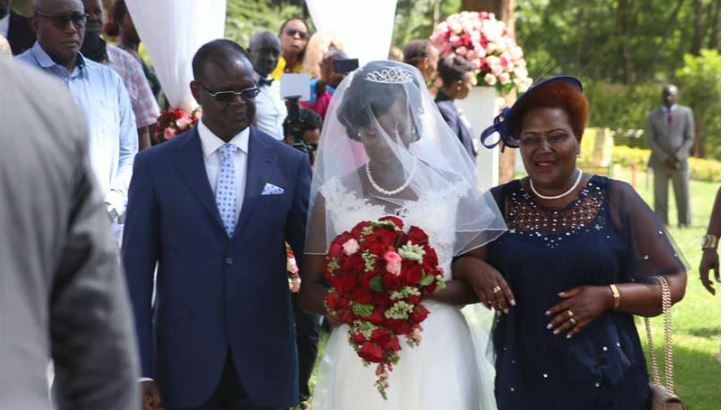 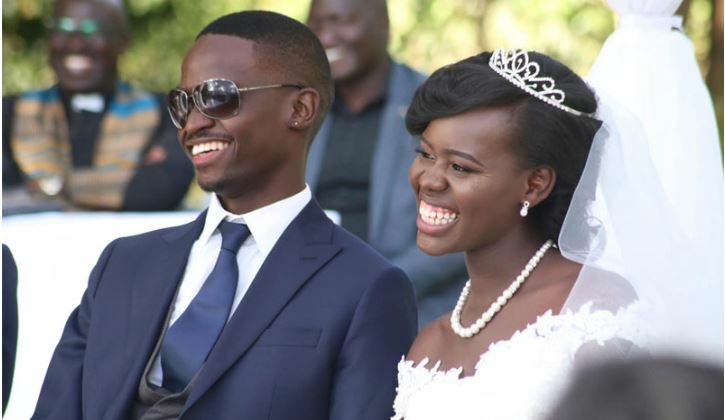 Makena Murungi, daughter to Meru County Governor Kiraitu Murungi, said ‘I Do’ in a glamorous wedding attended by the who’s who in the political scene. 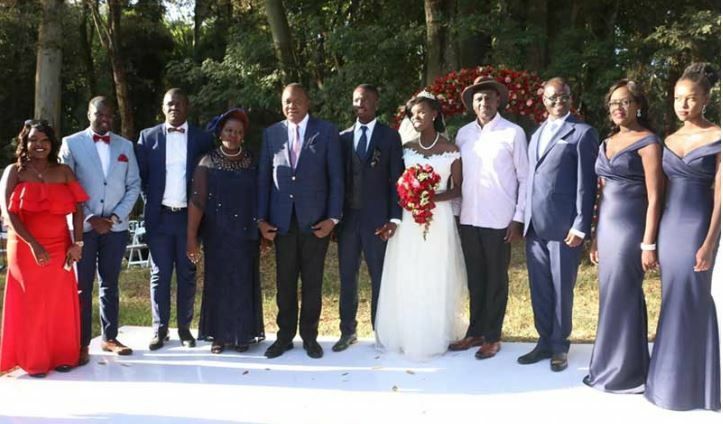 President Uhuru Kenyatta and Deputy President William Ruto led other dignitaries to witness Makena exchange her vows with the love of her life, James Bukusi. 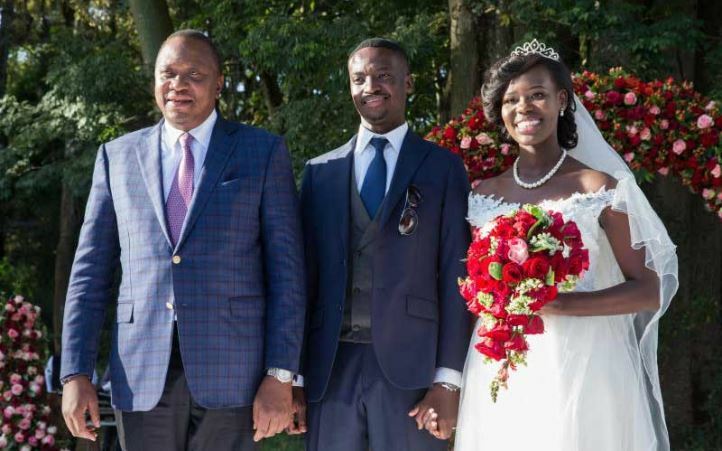 One of the highlights of the beautiful ceremony was Uhuru’s grand entrance in his official chopper at Ngong Racecourse in Nairobi. 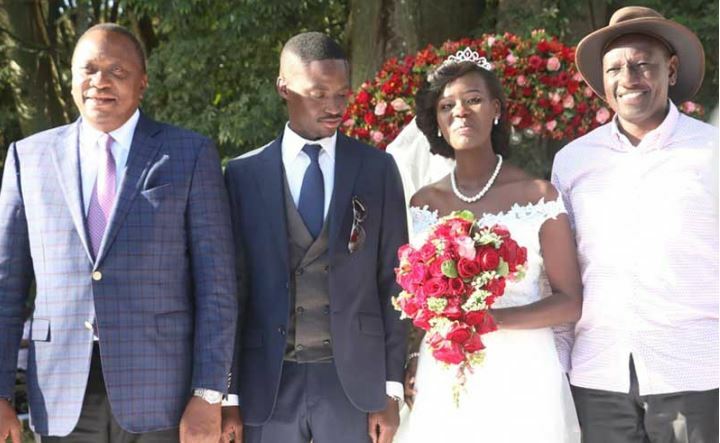 Deputy President William Ruto was in Kisumu earlier on the day but rushed to catch a glimpse of the newlyweds vow to stay together till death do them part. 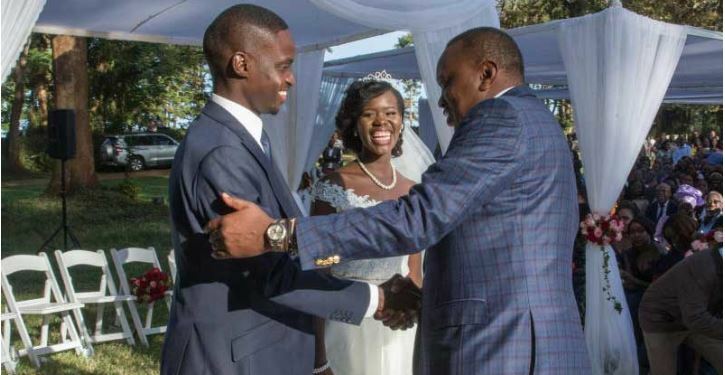 President Uhuru used the opportunity to encourage youth to embrace intermarriages among various communities. 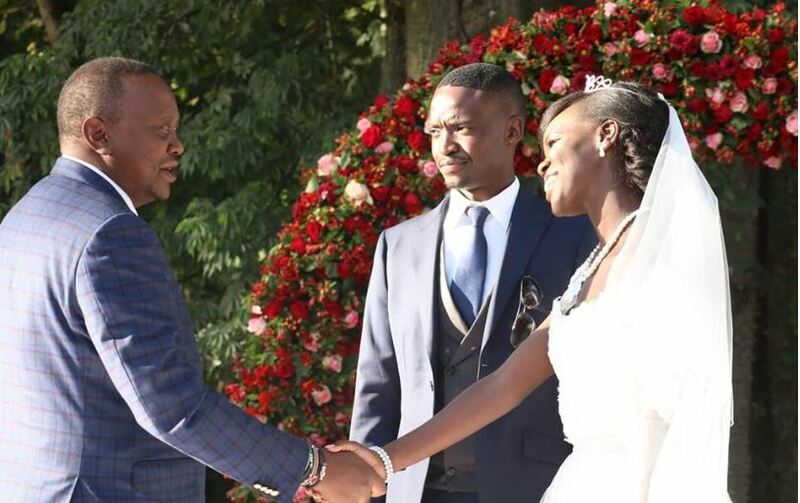 “May the journey of your marriage be characterized by love, trust and hope. 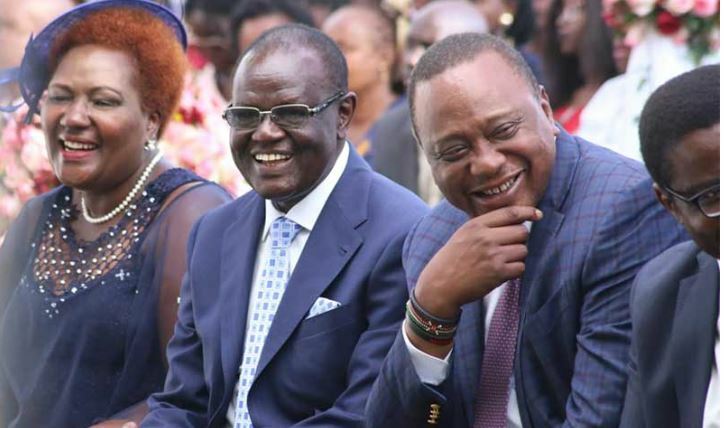 Kenya will become a more cohesive, secure and prosperous nation when our young people start accepting one another without using tribe or religion as a consideration,” wrote the president.